At Ecology Australia, we form a highly motivated and dedicated team, with outstanding knowledge of the Australian biota, natural systems and environmental issues. Andrew McMahon is a founding director and manager of Ecology Australia. Andrew’s ecological career spans six years in fire ecology research and over 30 years in consultancy. He has completed several hundred commissioned reports, covering environmental assessment, conservation management, ecological monitoring and research, in most environments throughout south-eastern Australia. Over the years, Andrew has worked on many projects of state and national significance. He has considerable experience as an expert witness and has represented numerous clients at the Federal and Supreme Courts, Commonwealth Commission of Inquiry, Environmental Effects Statement panels and the Victorian Civil and Administrative Tribunal. His understanding of the application of environmental legislation and policy is comprehensive. Andrew’s main areas of interest include fire ecology, alpine ecosystems, groundwater-dependent ecosystems and coastal wetlands. However, he also has wide-ranging experience with most other ecological disciplines, and an in-depth understanding of ecosystem processes and interactions. He has managed numerous large-scale projects and is a skilled manager of multi-disciplinary teams. With this depth of experience, Andrew is well placed to deal with the most complex of ecological issues, bringing a practical, long-term and integrated perspective to biodiversity management. Geoff Carr is a founding director of Ecology Australia and has been a botanical consultant for over 35 years. He has an exceptional knowledge of the taxonomy, ecology and conservation status of the Australian flora, including a detailed knowledge of rare and threatened species, their distribution and management. Over the years, Geoff has gained extensive field experience in vegetation survey and condition assessment, enabling him to provide a long-term and practical perspective to vegetation management. 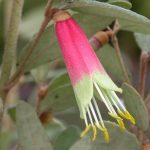 He also has considerable horticultural expertise, particularly in the use of indigenous flora for revegetation and environmental rehabilitation, but also for utilitarian and ornamental applications. Geoff is a leading authority on environmental weed research, management and taxonomy in Australia, with world perspectives on biological invasions and weed-risk assessment, including deliberately introduced pasture and rehabilitation species. He published the important book: ‘Environmental Weed Invasions in Victoria: Conservation and Management Implications’ and with three co-authors is currently preparing the second version. He is also a leading expert on Victorian saltmarshes and the biology of the halophyte flora. 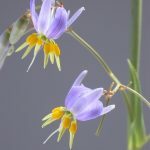 Geoff’s other areas of interest include taxonomic research; he has, and continues to publish on several plant groups, notably orchids, lilies (Dianella), naturalised willows (Salix) and Prickly Pear (Opuntia). He is also a keen photographer and has contributed photographs for scientific publications. Dr. Lisa Crowfoot, B.Sc. (Hons), Ph.D.
Lisa joined the team at Ecology Australia in 2004 and has extensive experience undertaking botanical and vegetation quality assessment surveys throughout Victoria. She has worked on a range of projects including environmental management plans and strategies, targeted rare and threatened plant surveys, impact assessments, and general flora and fauna surveys. Lisa’s main area of expertise is in environmental planning at local and state levels, including the application of Victoria’s Native Vegetation Permitted Clearing Regulations, and the development of Environmental Significance Overlays. Lisa has a thorough understanding of local, state and federal environmental legislation. She has excellent communication and project management skills and is adept at developing strategic and pragmatic solutions to complex ecological and regulatory planning issues. Leila has recently joined Ecology Australia after working in government (DSE / DELWP) on ecological policy, particularly for threatened taxa and communities. Leila’s PhD in Tropical Ecology investigated the ecological interactions between dingoes and feral cats in northern Australia. She used remote camera surveys and high-frequency telemetry data to explore both broad-scale trends in abundance, habitat use and behaviour and fine-scale space use patterns. She has a strong interest in the influence of species interactions on ecosystem function and dynamics, especially their potential to provide a buffer against environmental change or threatening processes. She has developed a broad range of scientific and analytical skills through her research and gained a good understanding of many broadly distributed vertebrates such as macropods, introduced predators, rodents and birds. 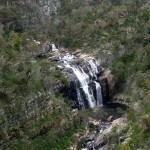 John has been employed as a Botanist at Ecology Australia since 2006 and as a Senior Botanist since 2010. In this time, he has undertaken a wide variety of projects throughout the state, working closely with a diverse range of clients. John is highly experienced in the collection and interpretation of field data, and has high-level reporting skills as well as a sound working knowledge of environmental legislation and policy. 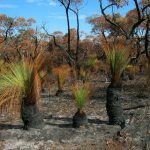 Having undertaken years of on-ground ecological restoration works prior to joining Ecology Australia, John has a very clear understanding of the intricacies of vegetation management, and is able to apply this to the development of concise and meaningful management prescriptions and reporting. John possesses a solid understanding of the flora of south-eastern Australia, the threats it faces and implications for its management. Chris has worked as a consultant aquatic ecologist since 2001 and joined Ecology Australia in 2013. He has extensive experience undertaking aquatic fauna surveys and targeted threatened species surveys throughout freshwater and estuarine habitats of south-eastern Australia. He is highly experienced in the use of the full range of standard sampling techniques and is a Senior Operator for boat, bank and backpack electrofishing. His main areas of expertise include fish and crayfish ecology; however, he also has considerable expertise in macroinvertebrate ecology, stream health, water quality and Platypus monitoring, together with specialist expertise on Dwarf Galaxias ecology and conservation management. He has extensive experience in assessing and monitoring biodiversity values, condition, and impacts to waterways and a sound understanding of relevant legislation and policy. He has undertaken this work for a wide range of projects and clients and is a highly experienced and skilled project manager. Bernadette is a skilled field biologist with a strong understanding of the ecology and biology of the vertebrate fauna of south-eastern Australia. She is experienced with the identification, survey and management of a wide range of taxa, but has particular expertise with mammals. Bernadette also has a keen interest in population ecology and the management of urban wildlife, overabundant and pest animals. She is currently serving as the Secretary of the Invasive Species Council. Since joining Ecology Australia in 2007, Bernadette has led numerous impact assessments, survey, monitoring and applied research programs, and the development of both threatened and pest species management plans, for a range of industries and government sectors. She has an in-depth understanding of environmental policy at the state and federal level, and has contributed to the development of federal environmental policy. Throughout her work, Bernadette has developed excellent project management skills, dealing effectively with complex ecological issues which require a multidisciplinary approach and strategic perspective. Jamie B. McMahon, B.Sc., M.GeoIT. Jamie has worked with Ecology Australia since 2001 as a field ecologist and GIS analyst. 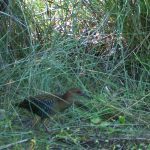 With a background in environmental science, Jamie has a solid understanding of the flora and fauna of south-eastern Australia, and has gained experience with a wide range of survey techniques, including targeted threatened species surveys. He has particular expertise with motion-sensing cameras, and has managed large-scale remote camera surveys throughout Victoria. Jamie also has postgraduate qualifications and experience in Geographic Information Systems. He is proficient with a range of GIS and remote sensing software packages and is highly experienced in the digitising of vegetation boundary data, manipulation of tabular data, image processing, geoprocessing, spatial analysis and map production. Jamie has analysed spatial data sets and undertaken mapping for a wide range of projects, including mapping of vegetation losses, analysis of natural attributes and management plans involving the spatial prioritisation of sites. 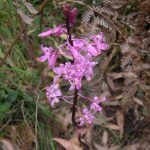 Louise joined Ecology Australia in 2010 and has since undertaken botanical surveys across a wide range of environments across Victoria from coastal areas, to alpine and semi-arid inland regions. At Ecology Australia, Louise has been involved in numerous flora surveys and vegetation assessments, including vegetation structure and condition assessments, vegetation monitoring programs, targeted surveys for threatened species and fuel hazard assessments. She has also undertaken a number of vegetation clearing assessments and prepared offset management plans, with a sound understanding of the application of local, state and federal environmental policy. Louise has a keen interest is in alpine ecology, and has also managed long-term weed monitoring projects in the Victorian Alps. She is a highly skilled and experienced project manager, having worked on many projects in the environmental field and in other disciplines, developing her skills in project management and client liaison. Her expertise has seen her successfully deliver a number of large scale projects which involved coordinating members of her team, land managers and contractors and maintaining a high level of communication with the client. Katie has worked as an ecological research assistant since 2010, gaining broad-ranging experience in terrestrial and aquatic flora and fauna survey, across south-eastern Australia. Katie’s background is in aquatic ecology, with previous experience gained from studies in macroinvertebrate toxicity. 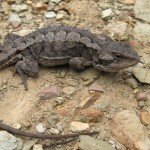 However, she has also been involved with surveys for a wide range of other species, including Growling Grass Frog, Golden Sun Moth and Striped Legless Lizard surveys, and has provided ecological oversight to contractors working on infrastructure projects. 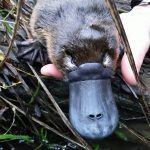 Since joining Ecology Australia in 2014, Katie has been involved with numerous aquatic fauna survey and monitoring projects, including the Victorian Environmental Flows Monitoring Program and Stream Flow Management Plan, as well as Platypus surveys. She has experience with a broad range of aquatic fauna survey techniques, including bait-traps, fyke nets and seine nets, as well as backpack and boat electrofishing. She also has experience undertaking water quality sampling, macroinvertebrate sampling and identification. Through this work, Katie has developed excellent skills in data collection, data management and data analysis. Stephen is a pre-eminent fish ecologist, with over 25 years of experience in ecological research, which includes 23 years as a senior scientist at the Victorian Arthur Rylah Institute for Environmental Research. During this time, Stephen’s research focus was the Murray Darling Basin and the coastal rivers of south-eastern Australia; his earlier research experience was gained in marine fisheries research. Stephen has written over 60 scientific publications (refereed papers and reports) on fish ecology and aquatic ecosystem research. He has been responsible for the management of a range of threatened species throughout Victoria under state’s Actions for Biodiversity Conservation (ABC) monitoring program, including Yarra Pygmy Perch, Variegated Pygmy Perch and Dwarf Galaxias, and has prepared National Recovery Plans as well as published peer reviewed journal articles on these species. With over 20 years of experience in fish sampling, Stephen is highly proficient in the use of a wide variety of sampling methodologies and is a Senior Operator for all forms of electrofishing. He also has specialist experience in developing threat assessments for aquatic fauna in a variety of media, including written publications, websites and interactive Decision Support Tools. Dr Matthew Le Feuvre BA/BSc (Hons), PhD. Matthew joined Ecology Australia in 2017 and has worked as an ecologist since 2008. Matthew has developed an in depth knowledge of terrestrial and aquatic vertebrate fauna across Australia. 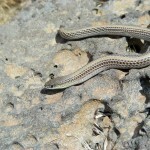 He is experienced with a variety of field survey techniques, and the ecology and management of a wide range of taxa. As an environmental consultant, Matthew has led numerous projects, from initial desktop and field surveys to the development of environmental management plans and impact assessments, stakeholder engagement and auditing activities for a range of industries and the government sector. He has developed a sound understanding of state and government environmental legislation. Matthew has a strong interest in ecology with tangible, applied outcomes. For his PhD, Matthew used broad scale ecological patterns and species traits to identify previously unrecognised species and hotspots of conservation concern in freshwater fishes across Australia. The results of his thesis have been used to guide biodiversity management. Through his research and consulting career, Matthew has a developed a comprehensive understanding of applied ecology and environmental management that allows him to solve complex ecological problems and implement good environmental outcomes. John has worked in ecological research since graduating in 2013 from the University of Melbourne with a Masters degree in Zoology. 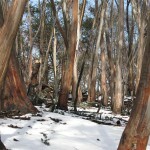 John’s background is in mammalian ecology, particularly macropods, koalas and deer, across south-eastern Australia. 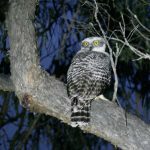 He has experience with a range of fauna survey, capture and handling techniques including soft-wall and Elliot trapping, artificial shelter surveys, spotlighting and GPS and radio tracking. He is also familiar with forest fire fuel hazard assessments. Furthermore, John has a number of specialist skills; including being qualified in tranquilizer darting and an experienced and licensed operator of Unmanned Aerial Vehicles. 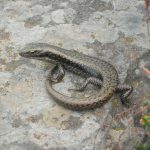 Since joining Ecology Australia in 2017, John has been involved with numerous terrestrial fauna survey and monitoring projects, including multiple large scale remote camera surveys, amphibian and reptile surveys. 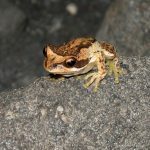 He has also been heavily involved in conservation strategies, specifically field surveys, for other fauna, including Growling Grass Frog, Golden Sun Moth and Striped Legless Lizard, and has been involved in various community engagement projects. Leigh has worked in the environmental industry in Victoria for over six years, during which time he has undertaken flora and fauna surveys, seed collecting and processing, revegetation and nursery operations. Over this period he has gained valuable knowledge in the identification and ecology of the Victoria’s vascular flora including threatened species and pest plant management. 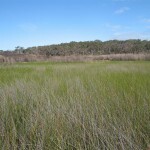 He has applied a range of field survey techniques in grasslands, wetlands and other native vegetation types. Leigh’s research includes palaeobotanical studies, as well as an analysis on the use of morphological characters for identification of Victorian spear-grasses (Austrostipa). Bryce has worked and studied in the aquatic ecology space since 2010 completing a bachelor with honours and most recently Masters (under external review) degrees at Deakin university in Warrnambool. 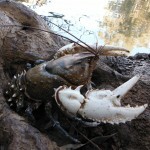 Bryce’s background is in small-bodied freshwater fish, macroinvertebrates and zooplankton in south west Victoria and the lower River Murray region in South Australia. He has experience with a suite of aquatic sampling techniques including fyke netting, bait trapping, electrofishing, macroinvertebrate and zooplankton netting, water quality and habitat surveying. As an aquatic ecologist he is interested in the origin, structure, functions and behaviour of all forms of life in freshwater, and their interactions with the environment. This includes the study of lakes, rivers and ponds and covers microbial, plant and animal life.